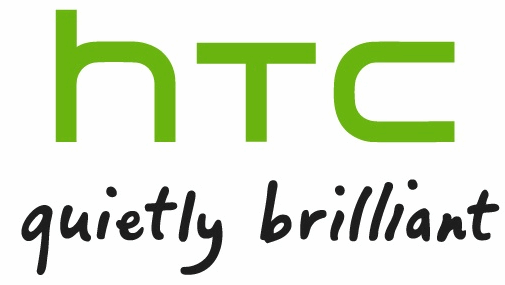 Following our report in May of the upcoming HTC tablet named after the celebrated Italian composer Puccini, BGR has gotten its hands on some exclusive images of the device itself. The first of the two high-res press shots grabbed by BGR features the front of the 10" tablet in what appears to be a bespoke case with a stylus and holder. 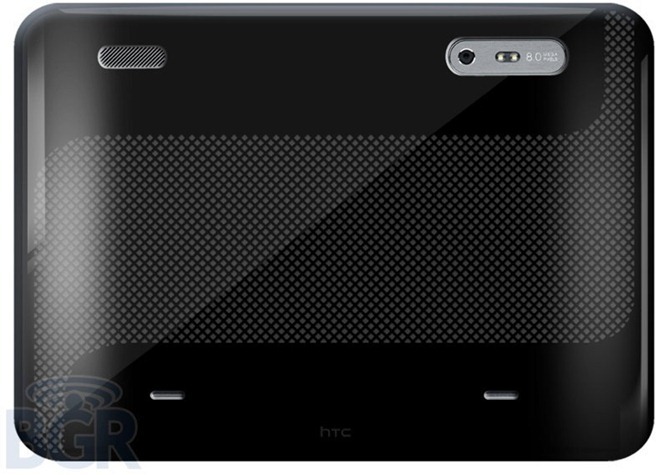 The second image shows off the rear of the tablet which appears to be sporting an 8 MP camera, dual-LED flash, and stereo speakers and a mic. Interestingly, the first image also suggests that the $80 Magic Pen will be compatible with the Puccini. The earlier leak indicated that the tablet would feature a 10" WXGA display (1280x800), a 1.5 GHz MSM8660 dual-core processor, AT&T 4G LTE support and would be running Android Honeycomb 3.0.1. 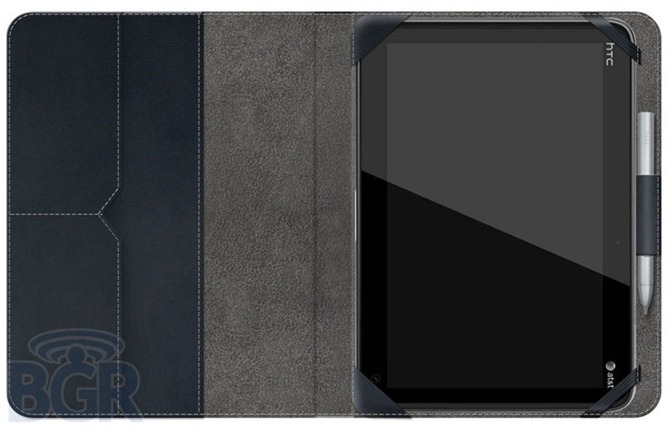 Is the Puccini different enough from HTC's first foray into the tablet market?